On the occasion of 128th anniversary of the Birthday of His Royal Highness Prince Mahidol of Songkla and 28th of the Prince Mahidol Award. Today (21 November 2018) at 13.30 hrs., Professor Dr. Prasit Watanapa, Dean of the Faculty of Medicine, Siriraj Hospital, Mahidol University, in the capacity of Vice President of the Prince Mahidol Award Foundation; Ms. Busadee Santipitaks, Director-General of the Department of Information, Ministry of Foreign Affairs of Thailand, in the capacity of the Chairman of the Sub-Committee on Public Relations of the Prince Mahidol Award Foundation; and Professor Vicharn Panich, Chairman of the International Award Committee of the Prince Mahidol Award Foundation, held a joint press conference to announce the 27th Prince Mahidol Award for 2018 at the Prince Mahidol Memorial Room, 2nd Floor, Syamindra Building, Siriraj Hospital. On the occasion of 127th anniversary of the Birthday of His Royal Highness Prince Mahidol of Songkla and 26th of the Prince Mahidol Award. 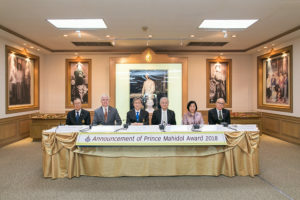 We would like to invite you to nominate individual (s) or institution(s) for their outstanding performance and/or research that contributes directly to the betterment of society for the Prince Mahidol Award 2018. 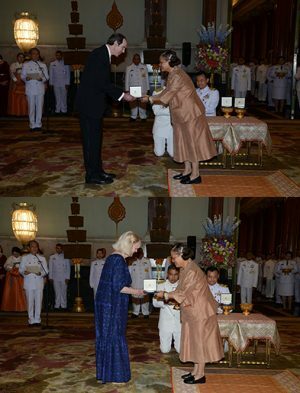 Today (16 November 2016) at 13.30 hrs., Professor Dr. Prasit Watanapa, Dean of the Faculty of Medicine, Siriraj Hospital, Mahidol University, in the capacity of Vice President of the Prince Mahidol Award Foundation; Ms. Busadee Santipitaks, Director-General of the Department of Information, Ministry of Foreign Affairs, in the capacity of the Chairman of the Sub-Committee on Public Relations of the Prince Mahidol Award Foundation, and Professor Vicharn Panich, Chairman of the International Award Committee of the Prince Mahidol Award Foundation, held a joint press conference to announce the 26th Prince Mahidol Award for 2017 at the Prince Mahidol Memorial Room, 2nd Floor, Syamindra Building, Siriraj Hospital. On the occasion of 126th anniversary of the Birthday of His Royal Highness Prince Mahidol of Songkla and 26th of the Prince Mahidol Award. 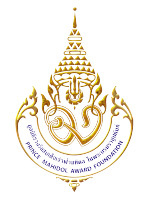 We would like to invite you to nominate individual (s) or institution(s) for their outstanding performance and/or research that contributes directly to the betterment of society for the Prince Mahidol Award 2017. 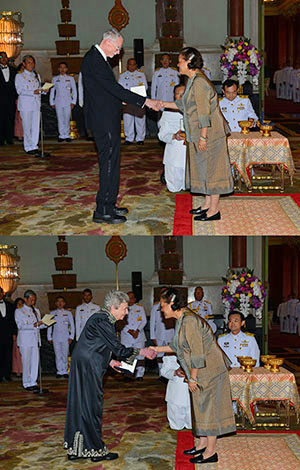 Tuesday, 31th January, 2017, Her Royal Highness Princess Maha Chakri Sirindhorn represents His Majesty the King of Thailand presenting the Prince Mahidol Award for the year 2016.